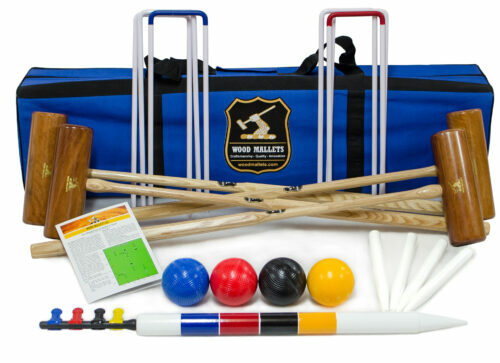 We love the game of croquet & believe it’s wrong to play with anything less than regulation size and weight balls. Croquet rules stipulate the balls must weigh 1 pound and measure 3 ⅝” in diameter. Our sets use regulation weight balls. 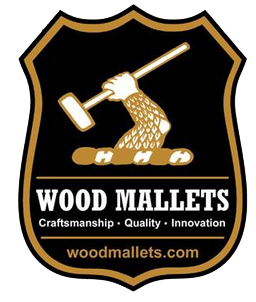 Because of this, mallets have to be robust & heavy enough to perform. Our sets are not toys! Our Garden sets have evolved over 30 years. We take pride in the craftsmanship put into building these sets. We sell four or six player versions. These can also be packed in a wooden box. 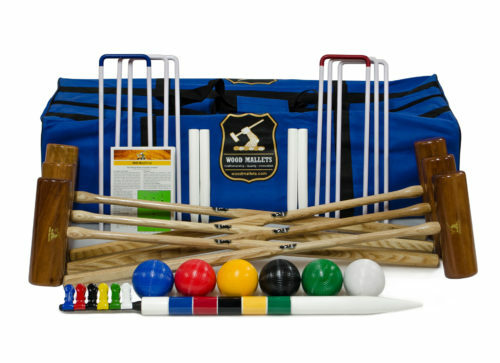 Included are all the components needed to enjoy the game, along with a laminated rule card explaining both Association and Golf croquet rules. The Garden mallets have English ash handles and cylindrical hardwood heads. Set at an incredibly low price, this set is extremely popular and boasts a huge community of loyal users.